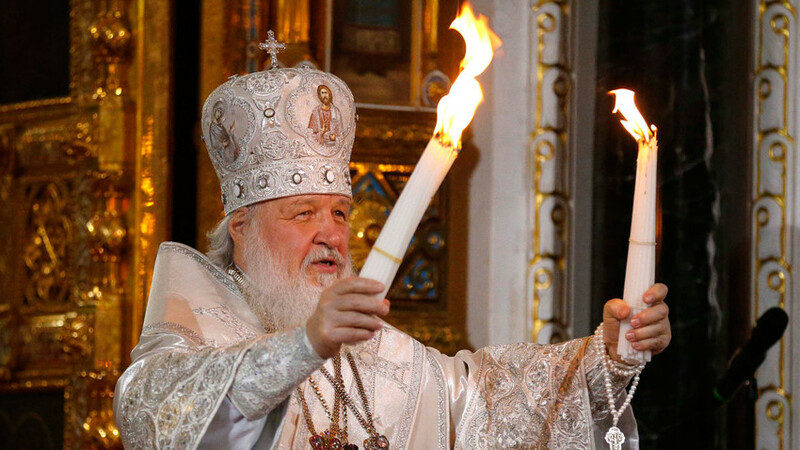 Patriarch Kirill conducts the Orthodox Easter service at the Christ the Saviour Cathedral in Moscow. Easter symbol taken to Orthodox churches in the capital via underground system. For the first time the Holy Fire departed Moscow's Vnukovo Airport on public transport, and then toured the Russian capital’s rings: The Garden Ring, Third Transport Ring, Moscow Ring Road, and the circle route (Line 5) of Moscow’s metro. Afterwards, the fire was brought to several holy buildings in the city, starting with the Cathedral of Christ the Saviour, where Patriarch Kirill - head of Russian Orthodox Church - led the Easter Liturgy. Easter’s East-West divide: What are the differences?